Today we’ve launched a consultation on changes to the driving test. I thought it would be helpful if I explained the proposals and gave you information on why these changes will better prepare new drivers and improve road safety. I’m hoping by doing so you’ll be able to share this information with your pupils, their parents and your colleagues within the driver training industry. Young people are a vulnerable group. of road users. We all know this. One in 5 people killed or seriously injured on the roads are in a collision where a car driver is aged between 17 and 24. Most deaths happen on rural roads. These are roads where the speed limit is 40 mph or faster (this doesn’t include motorways). I want to make changes to the format of the test so more higher risk roads can be used. The introduction of following directions from a sat nav will open up these types of roads. 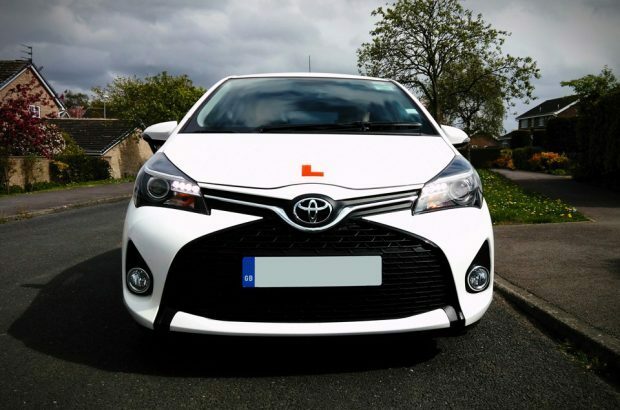 Research shows that some learner drivers only learn what they need to so they can pass the driving test. This causes them to take their test before they’re properly ready, which results in a lower overall driving test pass rate. I also want parents, relatives and friends to understand the importance of getting the best training available. We’ll be publishing a blog post about this in the coming weeks. The driving test can’t cover all of what learners need to know but where new drivers tend to get it wrong are when they are confronted by fast rural roads and complex junctions so the test will focus on these higher risk areas. I want the test to be like a real journey and by making use of sat nav we can see that new drivers can manage this distraction safely. Those involved in the trial have said this helps them to concentrate on their driving and forget about the examiner! The National Travel Survey 2014 shows that over half of all car drivers in England now use a sat nav. It’s increased from 32.5% in 2009 to 51.9% in 2014. The national standard for driving cars and light vans sets out what you must be able to do, know and understand to use a sat nav safely. As more people are using these devices, I want new drivers to be trained to meet the standard to use them safely. The new manoeuvres are used in every day driving and will mean that whilst the turn in the road and reverse around a corner should feature in the training syllabus, they will not be part of the test which will remove the need to spend time in the quieter low risk roads. As Chief Driving Examiner, I care passionately that learner drivers are trained to be fully prepared for a lifetime of driving. I want this new test to encourage the right training so new drivers have the knowledge and skill to drive well, manage risks and distractions and have a greater chance of remaining safe on our roads. Starting in April 2015, we’ve worked with the Transport Research Laboratory (TRL) and run a research trial into the a new test. Two groups of volunteers – trial and control – have been monitored. The trial group has taken the new test, whilst the control group has taken the current test. If I haven’t addressed all your questions or concerns, please do let me know. I want you to have all the information you need before you respond to the consultation. Over the next couple of weeks, I’m planning a live-video interview using Periscope – a video-sharing service. You’ll be able to watch through the free Periscope app on iOS or Android, or on the Periscope website, and put your questions to me. If you can’t take part at the time (and I know we’ll never find one that suits everyone), you’ll be able to watch it back for up to 24 hours. Let me know in the comments if this is something that you’d like to take part in, and if there are any parts of the consultation you’d like me to talk more about. We’ll publish more details about how to take part nearer the time. Make sure you give us your views and encourage others to do the same by Thursday 25 August. This is all well and good but once they are out there on there own they drive like they are invincible, they have no fear . We teach them to the best of our ability but that goes out the window when they are let loose so to speak. I was taught (admittedly back in the late 1980s) that wherever possible you should reverse into a parking bay so that you could drive out of it - is this no longer the case? The independent driving part of the test is still 10 minutes at the moment. One of the proposals is to change this to 20 minutes. Research that we've done since it was introduced in October 2010 has shown a positive response from those who have recently passed their tests; most reported that they found training for the new test a positive experience and they could relate the training and testing to driving once qualified. The exercise offers the opportunity for assessment to be made of a candidate’s ability to manage and prioritise distractions, providing variable routes and exposure to different road and traffic conditions to improve judgement. It also means that less time is spent on minor roads, giving more time to include routes that focus on high-risk areas such as high-speed roads. Trials have indicated that there would be benefit from extending this element, to give the skills required a greater prominence in the test and offer candidates a wider opportunity to demonstrate their capabilities in driving independently. I was very interested to read the information above and a lot of it makes perfect sense. I live in a rural area and am always amazed at the speed that almost all drivers are prepared to drive at. To me the problem is they go so fast they cannot possibly have sufficient time to react when something goes wrong! I seriously doubt if any sort of testing would change peoples willingness to drive far too fast for the road conditions, that is an attitude of mind and a lack of imagination which needs to be "Trained out" perhaps by making drivers watch a series of videos where things go wrong and they see the consequences and understand what the cause was. Young people are vulnerable because they think they are better than they actually are. They also have very little experience to draw on and so do not recognise when a situation starts to develop. After almost 50 years of driving many hundreds of thousand of miles way above the national average I see things every day that cause me to hold back or take some sort of action to avoid an incident. Sometimes it is just an instinct or a flicker of something that alerts me to a potential incident. We cannot give young drivers that wealth of experience but maybe we can train a little fear into them! We could also do with taking out some of the haste and intolerance that has become so common, some drivers seem to be in a blind panic to get somewhere! I regret that these two things go hand in hand and are a reflection on the pressure we have in this country to get somewhere fast. the most significant advance to thinking on the matter of Road Safety is surely an introduction of a virtual reality accident experience ( bbc brekfast :19th July .2016 .) at some stage in the lessons to be incorporated . there can be no better substitute to this . I teach the deaf to drive and iam concerned that if there having to concentrate visually on a sat -nav.this may cause a distraction to there attention on the road as they do not have the ability to use the voice or sound on the sat-nav.. I have tried the sat navigation with my deaf pupils and found this to be so. Will there be a discussion about the best way for people with hearing loss to overcome this issue. I am deaf and have passed driving test in 2012. I found sat nav very useful but even though I cannot hear the voice. It was no distraction or danger as I see the symbol meaning. For example, black colour mean heavy traffic, yellow is to follow the direction. The only distraction is danger when a deaf learner or driver 's eyes is off the road during driving unlike a hearing person can hear and engage in conversation. When can we expect the new test to go live across the nation? Personally i think the idea of introducing more items to the driving lesson scheme is a good idea but get real and go back to the old school way of teaching people to drive. I have seen first hand the mistakes a learner has made and the nstructor just carry on. 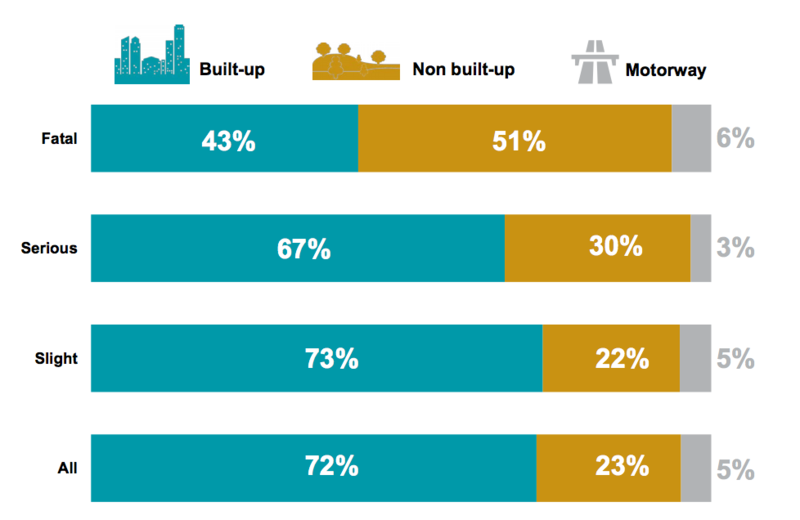 In London learners don't get to drive because they are always sat in traffic and you can do that in any city. Night time driving is another aspect and also the job i do i see all to many people still using their phones while driving. I know this is against the law but it has to be drummed into drivers when they are learning this is a dangerous thing to do. I'm very passionate about learners because my eldest has just passed his test and he at his age is very volnurable to having accidents as they think they are invincible behind the wheel. If i could stand infront of a class of new drivers and put it to them about safety while on the road i would love too. I'm an HGV driver and have been for over 20 yrs and have seen most things when it comes to new drivers. I have seen accidents that would make most people squirm and the causes behind them too. I feel that new drivers don't understand the concept of driver safety and how to conduct themselves on the road. A little respect goes along way with most road users. Good luck. way of the reversing car, plus the skill of driving at slow speed, keeping control of the clutch and excelerator, also mirror usage, and focus of keeping the car reversing correctly to the curb once around the corner. Well, that is what I think. Pulling up on the right and pulling off into traffic. Crazy. I myself try to avoid doing this, and would not expect a learner to. irst time, very unnerving from memory ,one is not properly aware of the high speeds involved nor the risk management of making a lane change for example. Yes, I will be interested in taking part in this periscope conversation as I think it is a mistake to remove the current manoeuvres in favour of easier to achieve manoeuvres and I object to the test being made easier. Totally disagree with any removal of the turn in the road and reverse round the corner, unless replaced by a manoeuvre which tests the candidates ability to safely control a vehicle whilst manoeuvring in a confined space. I agree that driving forwards into and then reversing out of a bay is a very worthwhile addition and I have taught this for over 10 years. The pull in on the right and reverse back a couple of car lengths is a totally irrelevant and pointless manoeuvre which teaches little; especially if the turn in the road and reverse round the corner are deleted from the test. Another issue here is that a number of ADIs will decide or feel forced, owing to customer time or cost constraints, not to cover the turn in the road or reverse round the corner. How many teach the right reverse round the corner, which enables the pupil to watch the effect of steering whilst reversing out of the window rather than glancing at a mirror image before the left one, because "it's not done on test"? I've experienced the occasional strange look from some instructors whilst teaching it and the odd instructor has pulled in on the opposite side of the junction to do a left reverse round the corner when my pupil's performing a right reverse round the corner! On the basis of including real life driving are the DVSA going to suggest manoeuvres such as driving through a McDonalds "Drive Thru" (other similar establishments are available) are included as an option? I have, jokingly or otherwise, been asked by pupils if they can undertake this manoeuvre during a lesson on several occasions and have done it once or twice. I recall from a DVSA meeting not that long ago that as a result of EU legislation the manoevre had to include an element of reversing. But, the UK will be leaving the EU! So why can't we simply add the pull in and reverse out bay park and state that a U-turn in the road, which is a far more realistic manoeuvre, will be added to the test automatically following Brexit? when I started driving a lot of years ago the reverse around a corner was done on the left hand side of the road and I always believe in reversing into a parking bay then you can drive straight out and watch what you are going into and people walking past.satnavs aren't infallible how many people have followed them and then appear in the newspapers as the days idiot picture ,learn to read a map it will do you more good and make you think for yourself .Stop dumbing down because lots of young people will not think for themselves and want to blame any equipment they have instead of themselves.If anything teach motorway driving it may save your life. Absolutely right about reversing into a parking bay, not driving into it. Most cars have the driving position nearer the front than the back so the safest way: putting less of the car out into traffic, is to drive out forwards. If you take certain manoeuvres off of the test, there will be instructors that won't teach them at all, despite your wish for them to still be taught as part of the syllabus. I still don't understand how you can pass your test at 17 and never get retested. Maybe this should be addressed, as well as modifying a test that is already inadequate. Just a thought, aren't Sat Navs distracting? I totally agree with the comments made here. I train pupils to drive safely after test - not just to pass test. I teach reverse to the right, explaining that the first trip a new driver makes may result in a wrong turning, and the need to change direction - and the only opportunity may be to reverse to the right. As opportunities arise, I get them to drive into supermarket carpark spaces & reverse out, drive into, and out of, petrol stations, and turn round at cul-de-sac 'dead ends'. Likewise I teach bay parking to the right as well as left (though I can't remember ever seeing another instructor locally do this). I strongly believe that it will be a serious mistake to not include turn in the road on test (I recently had a pupil need to this on a rural road, whilst travelling to the test centre, as a collision had completely blocked the road!). I don't teach U-turns, as I believe this to be a dangerous practice to be avoided. Finally, I use 2hr lessons to permit 'real driving' trips of about 30-40 miles, when approaching test - including lengthy runs at 60-70mph, with opportunities for overtaking at speed. Long dual carriageway runs are presently as close as I can get them to the realities motorway driving. As for 'sat-nav', I have pupils tell me that I sound just like one - as I am consistent in how I present direction information! My test centre vary their routes, one test can just be quiet back roads and a mini roundabout, another can be all major roundabouts and the A40. Instructors book tests at 8am so difficult areas are avoided! This is wrong! Bad instructors manipulate this, teach the minimum to just pass then the pupil has no idea how to deal with real situations. I teach safe driving for life and how to deal with all road situations but how can an examiner know if a pupil is road worthy when they are tested on quiet back roads? I know of people who have passed the test and have no idea how to drive on roads as they have been taught test routes and tests have been booked as to avoid difficult real situations. The DVSA have a lot to answer for and should look at how other EU countries conduct lessons and tests. Using sat navs is a distraction as bad as mobile phones, surely taking the test on busy roads and how pupils react to other road users is more important! I recently had a Romanian pupil take lessons. They already had a Romanian licence and wanted to get a UK licence as they intended to stay in this country long term. Interestingly, he expressed surprise that UK driving test only requires one manoeuvre, as he told me that the Romanian test requires ALL manoeuvres to be demonstrated successfully! Simple answer to bad drivers is introduce a test after ten years or less that way drivers know they will have to keep or improve the standards the had to pass first time. Don't agree with use of sat nav sorry . As I have been saying for years. All drivers should go through some form of assessment every ten years! I could not agree more. I have also said the same thing. Why as qualified driving instructors are we re-tested to stay at a safe standard to teach every four years, but 'Joe public' passes once and can then drive as badly as they want to for life, or death ! Please re-test them on a 10 year basis. This should remove all the people who cannot see the safe distance to drive anymore and keep drivers at a reasonable safe standard for life, not death ! I have also suffered from other drivers parking opposite me when I am parked up giving theory instruction, then other drivers going past assuming that I have allowed my pupil to park in a unsafe manner close to the other vehicle. We cannot teach common sense, but we can try to. I have advocated periodic retesting to ensure that drivers keep up to a certain standard. This could be done in a similar manner to our standards check in that drivers are given a three chances before they would lose their licence. If drivers are just good enough but need improvement then maybe a retest in a shorter timescale than a driver who shows an excellent level of skill. Great you are moving with the tines particularly using SAT NAV's. I believe the safety survey is very crucial to reduce the number of accidents and fatalities on the roads in the UK. Although we are leaving Euro, it does not mean we can not use best established practices from these countries. Some of the EU directives were for our benefits. Abandoning the manoeuvres does not seem a good idea. Like some of the comments above, then many instructors will teach just to pass the test and skills for life will no longer be important. Although these may not be tested, an option should be kept by DVSA so that they may test these. This will encourage all instructors to teach all manoeuvres. Use of Sat Nav should be encouraged as it is widely used nowadays and as these are hands free it should not distract the drivers. More should be done to tackle the misuse of mobile phones while driving. I see at least five drivers flaunting the law. Yes, Id be interested in the video call please. So are there plans to add manoeuvres like, spinning around in the end of a road like taxi drivers and delivery drivers do, pull onto someones drive and reverse off to turn around, parking half on the pavement on either side of the road when vehicles are parked on the opposite side, park on the side of a busy road and remove a child from the back seat on the road side instead of the pavement, doing U turns on busy dual carriageway intersections, pull up outside a school with vehicles parked on both sides of the road and do a turn in the road oh sorry that one is being taking out. These are things we see drivers do all the time whilst teacher our pupils to be "Good Safe" drivers. The only way to change the attitude of new drivers is to do something to stop established drivers doing things they shouldn't. So often our pupils ask why they should do things the way we teach them when other drivers don't. Most of these changes seem quite a good idea. However, i am dubious about needing to use a satnav. Check the data you presumably already have, look at satnav usage among older drivers, i'll bet most of them never use a satnav at all - even if they might have one. For example, i use mine purely with the speedo on display. Many older people only drive between a limited number of locations. Checking that these people can use a satnav, when they never use one, would be very unfair. e.g. those doing re-tests for age reasons ... or maybe just for their own piece of mind. Why not concentrate on doing changes that will actually have an affect on the accident rate? Ageist. Boys and their toy's, sat navs, how stupid, people learn to "Drive" not play with toys, some of your Idea's are utterly ridiculas, sign of the workd You live In, personally I drive. Its young people who are the danger on our roads not older drivers. I dissagree with you. When the young person passes their test and leaves us, we have taught them the safe and correct way to drive. The problem comes post test as they start to forget what we have taught them, if they carried on trying to drive that way we taught them there would not be a problem. But from the second they have passed their test they are undermind by the so called experienced drivers who says to them "you don't have to do that any more you've passed your test." When I was teaching one of my pupils in the post test Pass Plus Scheme he got into the car and said his freinds we're laughing at him because he was driving properly. One of my other pupils told me that when you pass the test you don't have to obey the speed limits any more. This is just two of many things, that post test road users think, that I have been told. There should be a re-education course that should be conducted every 10 years, say a half day course to remind people how to drive properly, resposibly, and safely. It could be a couple of hours in a class room, then a half to one hour of being in a car with an instructor. No test involved and the only chance of loosing your licence would be from non attendance. The problem with experienced drivers is that the more confident they become the faster they drive, it's always the first thing that happens. They loose the "What If" factor, "what if that person steps off the pavement in front of me, what if that car pulls out of the side road in front of me, what if there is something around the bend I can't see" They turn it into "if there is something around the bend then I'll use my experience to get out of it" all you need is someone coming the other way thinking the same thing, and then it's a recipe for disaster. Another big problem is people not thinkng about the consequences of what they are doing; One of the worse ones is the tailgater who drives half a cars cars lenth away from the car in front of them at 70 miles an hour, not thinking what might happen if a car pulls out in front of the car in front of them from the left hand lane on a dual carrageway. The car has to do an emergency stop and they won't even have time to put their foot on the brake before they are into the back of them. People just don't think about what they are doing, they treat the drivers seat as if they were sitting in their lounge on the sofa. It's the "It won't happen to me" syndrome "I'm a good driver". The second people start thinking they are a good driver they have lost it. So as I said it is the experienced driver that has to be kept on their toes, to make the roads a safer place to drive on. Here's the last thought. I have been a driving instructor for 10 years and during that time my pupils have had 7 accidents, 6 of them being the so called experienced drivers fault as they drive into the back of us when they have not been looking in front of them. I get the sniggering laughs I start tell other people about what happened "learner Drivers ha ha." The experienced driver has not got a clue. The holier than thou driver is a danger to everyone's lives on the road and the sooner they are regularly educated the better. *One of my other pupils told me that their friend said when you pass the test you don't have to obey the speed limits any more. 1. Fine 20 minutes of independant driving is a good idea. They will be driving independently from the time they pass their test, and that's when the trouble starts. When their freinds and parents tell them "you don't have to do that any more you've passed the test" The worst one I heard was when one of my pupils said her friend said "you don't have to obey the speed limits after you have passed your test" It's the post test education that needs to be improved, as I'm sure that once my pupils leave me all what I have taught them about being safe goes out the door. 2. The satnav as far as I am concerned is a bad idea. All the motoring organizations in the past have condemned the satnav as being a distraction making drivers take their eyes off the road. In the highway code you are encouraged not to take your eyes of the road, to look or fiddle with your stereo, or anything else, including the worst one the mobile phone. Yet now it seems it is OK to look at your satnav, poeple will stare at it as they try to work out what way they have to go. 3. This is the worst one. I have been telling my pupils for 10 years why they should reverse into a parking bay rather than go in forwards. It's dangerous as you cannot see as you reverse, especially if you end up having to reverse out between 2 transit vans, where you cant see a thing until you are almost all the way out. This will also lead them to think they can reverse out from anywhere they like, such as from side roads to main roads, out of driveways etc. Also if this goes through I will now have to tell my pupils that I was was wrong all those years and it's now OK to reverse out of a bay. " My instructor said he was wrong all those years, I wonder what else he's been wrong about" does not help to gain the confidence of a pupil. Also not including the 2 manouevres in the test causes problems. We're still to teach them, I used to teach the right reverse in the early days until I got a barrage of complaints from my pupils "none of my freinds are having to learn the right reverse it's not in the test " at risk of loosing half my pupils I stopped teaching it, and thats what will happen here. 4. Asking the questions on the move is a good idea, they will have to do things and talk to their freinds/family on the move. As an ADI, I only wish to know how the sat nav part of the test works. Do candidates bring their own, are we expected to own a sat nav for them to practice with and use on the test, or will the examiner provide one which the candidate is not familiar with? Who sets up the sat nav during the test? Many people use their smartphones as a sat nav. Can the candidate use theirs since they likely will after the test anyway? Reversing out of a parking bay is very dangerous. You should always try to reverse in and drive forwards out. Where would this be carried out? On a busy public car park? I also feel that the 'turn in the road' should remain part of the test. It is often used in real situations. Will the reversing into a parking space be done in the MPTC car park? Having stood and watched students on their test day take ten minutes to park up with other cars and bikes trying to get in or out, will there be a time limit on it? Why are motorcycles being asked to do an increased numbers of manoeuvres while the car test is being trimmed down? I'd have no problem making the drivers do what bikes do - you drive a maximum 1000cc car until you are 21 and then you can upgrade, maybe without passengers or with a curfew in place too. As it stands it seems that a lot of younger new drivers are totally unprepared for sharing the road with others, a lot more than new motorcyclists who actually appreciate the dangers. A mixed bag of comments here! A couple of things concern me about driving into and reversing out of bays. Firstly, isn't this giving the message to new drivers that this is ok to do, when it clearly has more risks associated with it than reversing into the bay? And does that also imply, by its similarity, that it's ok to reverse out of minor roads? Or driveways? I know of a motor cyclist who was killed when he rode into a vehicle that reversed out of a driveway. Secondly, In addition to putting the pupil at more risk, surely this adds to the 'workplace' risks for instructors and examiners alike. I'll be surprised if the examiners' union allow this for their members. I have been reading over the other comments I find some a little shall I say madness. Young driver attitudes are gained by watching over the years as they grow from their parents, often parents say why do you think young drivers are at risk be BLUNT very BLUNT. How do parents react when an older driver/driver pulls out in front (scream shout obscenities fingers up) so where do younger ones get it from. Speeding drivers (PARENTS). We could look at enforcing more to them little black boxes and making parents more accountable for checking. The new test system is well over due, why not stop them on the right, reversing out of parking bays, WHY because you do it, looking at how many BAD DRIVERS THERE ARE already on the roads. What about enforcing more to the new drivers under go advanced driver training after three months of passing. Kind of split test system. I would like to participate in the video conference. This proposed solution is only a very small step towards solving what is a much bigger problem, but it is a step in the right direction. Am always interested to read the negativity that prevails when an such an opportunity as a test content change becomes a possibility. I wonder how many of the 'negs' actually took part in the trial programme and found out first hand whether the changes are beneficial. And for those who think he test will be made too hard if the new driver has to use SatNav, my experience is that when properly trained in its usage they are quite capable of following SatNav and continuing to drive safely. If we don't include it then new drivers who use SatNav without training will almost definitely be a danger to themselves and others. Thanks DVSA for helping us ADIs better ensure our customers are safer on the roads post-test. The best way is to encourage much more accompanied practice before taking the test. Let people drive at 17 but not be able to take the test until they are 18. I am a director of the Association of Bikeability Schemes (www.tabs-uk.org.uk). We would like to submit a joint response to this consultation with other cycling organisations. Our submission would include some points about interacting with people on cycles during the 'Independent driving' section and overtaking (or not) a cyclist as additional manoeuvre. Please advise how we can submit a joint response to this consultation? Hi David, thanks for your recent comment - you can submit a joint response to consultations@dsa.gsi.gov.uk. I am a hgv driver car driver and motorcyclist it is a very bad idea and not safe to drive into a parking space and reverse out as you cannot see what is coming until you are nearly all the way out when reversing this will lead the more accidents and I am concerned about this being a motorcyclist more should be done to teach people to reverse and park properly into to a space [parallel parking] also using a satnav is in my opinion not safe as the pupil/driver will not be concentrating on driving but looking at the satnav which would more than likely be stuck in the middle of the windscreen blocking their view as I see every day on a regular basis [you can hide a jumbo jet behind one] . Many thanks for taking the time to respond to my blog. It’s precisely this level of debate that we need going forward and it’s vital that we get things right, so your views are very important to us. Unfortunately I’m unable to respond to every comment individually at this time, but I’d encourage you to take part the live video interview that we’re organising for Wednesday 3 August at midday. I’ll be able to respond directly to your questions then so please make a note of the date and time in your diaries. We’ll send you guidelines of how to take part a couple of days before the interview. I have been a driving instructor now for 16 years, before that I was a HGV driver and before that I was a bus driver. I also did my advance driving test which I got a gold award for. So what’s my point? In 16 years I’m yet to see the powers that be introduce anything in to the driving test that I can say is good. Take the theory testy which has become a joke. A pupil passes the theory before having their 1st driving lesson, 6 or 7 months later you ask them a road sign and they do not know it. Let’s bring back the old way at the end of the test the examiners flick through the road signs. At least that way new drivers will be going onto the road knowing their road signs. Also the theory test should be done as a college course over a number of weeks, where you could bring people in from the police, ambulance and fire services. As for the new driving test I do not think much of it, it seems that once again we are passing the buck on to the driving instructors. I know sat navs are a part of every day driving but let’s teach them the old way first. What happens if the sat nave stops working? As for reversing out of a parking space I explain the dangers of that and now you want to introduce it. After dropping the left reverse and the turn in the road, do you really think pupils will want to pay to learn it? It will become like the right reverse, with the pupil saying why are you teaching me this as it is no longer part of the test. Slowing down new drivers who think they are invincible is never going to happen unless you introduce some real deterrents. Such as if you are under the age of 21 and are involved in an accident you cannot retake your driving test till you are 21. This is just what I think is the tip of the iceberg, there is a lot more that could be done to the driving test, if only the powers had the guts to do it, and not just talk about improving road safety. The use of the Sat-nav is going to be extremely difficult for candidates whose English is not first language. Sat-nav does not inform the driver whether the third exit at the roundabout is a right turn or straight. The reversing out of the bay is also difficult. I honestly believe that these proposed changes will lead to some serious accidents and I request that these changes should be dropped. A major concern about the new test is one of fairness. We already have test centres where the bay park cannot be done as there is no car park. Where is the new reversing exercise to be carried out? How will the test centres with no parking include it in the test? Where are we to practice it? We can't use supermarket car parks or any other private space. It is quite hard finding somewhere to practice reversing into a space. The prospect of trying to reverse out is really going to upset the local drivers as they get held up by learner drivers in car parks. We are not able to practice in DVSA car parks. Could DVSA come to some arrangement with local councils to provide practice space? Following my last message, I’m sorry that we’re unable to go ahead with today’s planned live video interview. This is due to circumstances beyond our control. However we are looking at how we might offer an alternative event in the near future. I’ll keep you posted. The main thing that needs to be addressed is the fact that people seem to think driving is a right and not a privilege, also young people are being brought up with no responsibility, everything is somebody elses fault. Parents are only interested in the cheapest option. The use of mobile phones will never be resolved because of the lack of Police patrols and the pathetically low fines if you do happen to get caught, speed awareness courses don't work most see them as a way of "getting off with it"
I agree the driving test is in need of a serious overhaul to meet with the ever changing roads and vehicles. The driving education needs to start at school. Retesting needs to be brought in every 10 years for everybody. The standard of driving today is appalling , people have no road manners or afford any courtesy to others , don't understand how a roundabout works , or how to use a slip road correctly , no use of indicators , fools who think its ok to drive into the opposite carriageway when the obstruction is on their side ? Use of a satnav or heated rear screen is a joke if that the upgrade !, although if they are going to teach that at least fit it to windscreen in an appropriate place instead of the drivers view like most idiots we see on the roads devoid of any common sense ? , Start with improving the standard of instructors would help instead of the dubious quality of the supermarket style franchises we now have ! , lastly SPEED is the key here lets face it and people young or old pre occupied with anything other than Driving ! My car has a dent in it at the moment, as whilst I was waiting for someone to manoeuvre thereselves into a parking bay forwards badly, I was reversed into by an ejit on my left. I rest my case. Sorry. But NO to reversing out of a bay!!!!! The Highway Code strongly recommends that you reverse into a bay / driveway as it is dangerous to reverse out. Definitely one thing not to intrsuce this. I will feel very uncomfortable teaching this to my learners. Seems to me, there is a lot of controversy over the new proposed test. I'm all for change if it improves safety. but the sat nav is not the way to go. too many risks involved. might be the sat nav incorrect. simple fuse blown doesn't really matter the driver relying on it to get them from A to B has then got a dilemma. some might get flustered or panic . would that be a frame of mind to drive in. could cause accidents. I've driven for over 30 years all over Britain wagons and coaches and never needed one. dare say we are not all the same. but IF THERES DOUBT LETS LEAVE IT OUT. I've read the new proposals for the driving test alterations and wonder whether locations have been taken into account the new introduction of following the satnav for 20 minutes ,if cared out in the town centres like London pupils will have more than enough time in slow moving traffic to study the satnav and probably be comfortable with it. So does that mean people in less busy locations will be disadvantaged by having to drive further. I'm not sure following satnav is something that should be taught as you said more and more youngsters are using them. Most of the pupils I have spoken to who use satnav use them as a reminder of the speed limit and where the speed cameras are and not to find their way round. Some younger drivers will be using their mobile phones on the screen as satnav's and this will then in turn encourage them to interact with their phone as it's in easy reach this seems like we are encouraging them rather than discouraging them to use it. 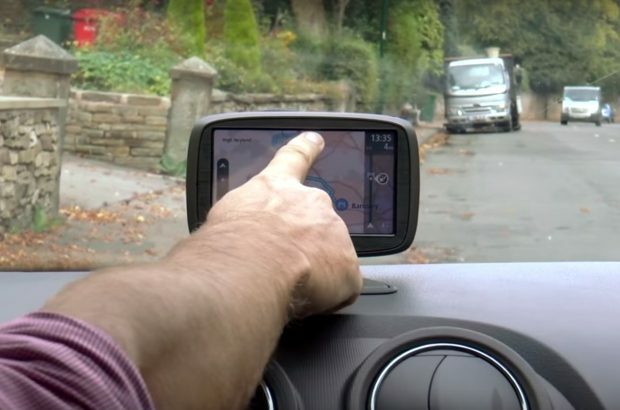 Will we all be using the same satnav, if examiners bring out their own and they are different to the ones that are being used then this may cause confusion for the pupil, and what about cars that have them already fitted? As far as removing two of the manoeuvers would it not be better to add to and not tell people that they will be excluded from the test. I had a pupil from Scotland who had never been taught to do a Baypark as the test centres did not have access to the facilities to park in the bay and that will be exactly what will happen and the two manoeuvers will not be taught as they won't be checked. I fully agree that something needs to be done to stop young life being wasted, I feel that some form of driving beyond the driving test should be implemented to include motorways and fast rule roads. There should be some way that if available driving instructors should be allowed to take pupils on motorways while they're learning to drive this obviously would be down to the individual instructor to make sure that the pupils are capable of doing it. I do understand that these locations are not always readily available in the areas where people live I'm lucky I have access to fast rural and urban roads. Just one suggestion ,a way of controlling and monitoring new drivers maybe to make it compulsory that all new drivers have black boxes fitted for the first two years this would then curtail their high-speed driving and cornering and give them an opportunity to learn the rest of their trade in safety. That would need some sort of legislation by yourself. I am afraid I cannot agree with driving into a parking bay or stopping on the right side of the road. Both are encouraging bad habits. Use of sat nav is also a concern. Drivers have been prosecuted for causing accidents while fiddling with cd playes and radios, what difference is there in using a sat nav, It can be just as distracting. Longer independent drive is a good idea but should be done purely using road signs. A driver must be able to spot and understand how to read road signs and how to act upon them. I believe graduated licences are a good idea with drivers not able to use motorways until they have completed a set number of hours with a qualified ADI. P plates should be mandatory for the first year. If tests are going to change at least we should ensure good habits are being taught. Lets not change for change sake. As I understand them I believe all the proposals have merit and should be introduced. While the Highway Code promotes driving's best practice and legal requirements there are occasions when, for practical reasons, other more risky but legal moves need to be undertaken. It would seem sensible to expose learners to those moves while under instruction so they are able to meet the more risky situations having gained experience of how to assess the risks attached to them and deal with them safely. b) that Motorway instruction of learners by ADIs (while it is perhaps not part of what we are looking at here) should be permitted and introduced as soon as possible. It confirms that the Department for Transport will consult on proposed legislative changes to allow approved driving instructors (ADIs) with dual-controlled cars to offer lessons on motorways to learner drivers if they wish to do so. We'll make sure that ADIs know when this consultation is launched, so they can contribute their views on the proposals. just all go to a supermarket and watch.??? ?